iZen Bamboo is the first eco-friendly bluetooth keyboard. Its low profile, portable, simple design will add more Zen to your life! Until now, environmentally friendly electronics has been an oxymoron. We envision a future with less plastic filling up our landfills, and iZen keyboards are a catlyst for this change. iZen Bamboo is the first eco-friendly bluetooth keyboard on the market. Its low profile, portable design is great for anyone on-the-go, and the simple and natural look will add more Zen to your life. 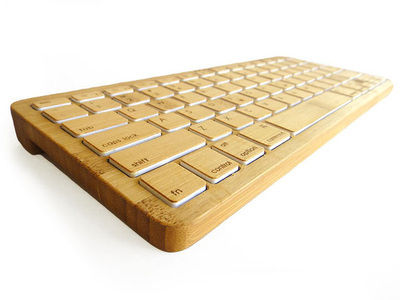 Hand-made out of 92% bamboo, this keyboard is renewable, recyclable, and won’t pile up in landfills. It works wirelessly with iPads, iPhones, Macs, Androids, tablet PCs, smart phones, and many other Bluetooth-enabled devices. And let's face it, it's gorgeous! Now offered as a combo pack, you can enjoy more bamboo beauty for less money. 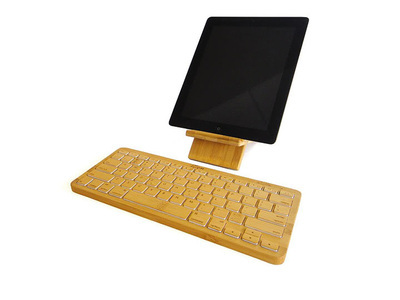 This is the combo pack of the iZen Bamboo Bluetooth Keyboard, and the iZen Bamboo X Display Stand. Make your tablet instantly beautiful with this combo pack. Makes a great gift. The iZen bamboo keyboard is the very first eco-friendly bluetooth keyboard on the market. 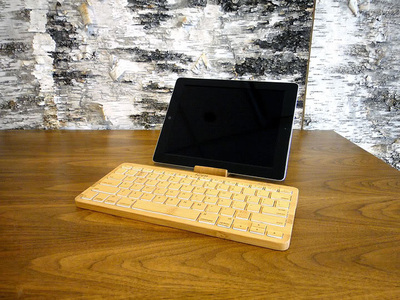 Hand-crafted out of mostly bamboo, this keyboard is renewable, recyclable, and won’t pile up in landfills. It's low profile, portable and natural design will make everyone who walks by stop and stare. 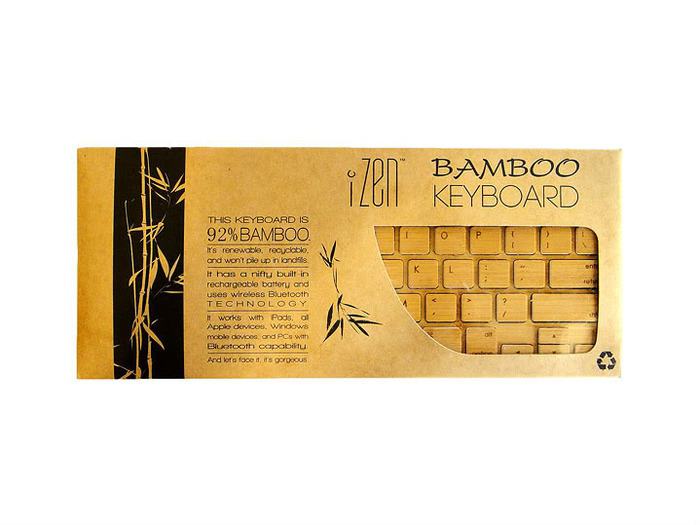 The iZen bamboo keyboard is the perfect way to add more Zen to your home or office. The iZen bamboo viewing stand works with any tablet computer and can be stored flat for easy transport. A great combo pack.